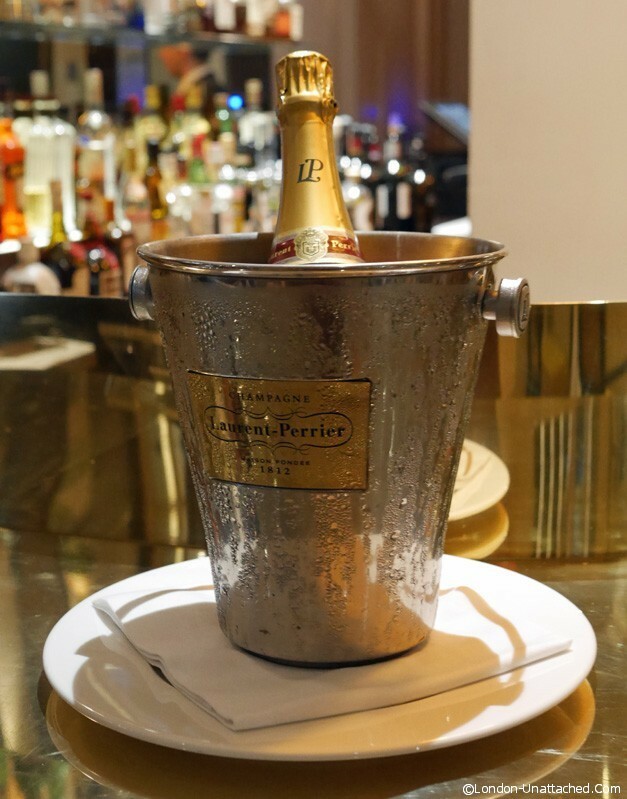 There are events that it would seem churlish to turn down and a last minute invite to a tasting menu matched to Laurent-Perrier champagne is just that sort. As it happens, my diary was free, I have a new, probably unsustainable plan to only accept invitations on alternate evenings and I’d spent the night before at Assado. 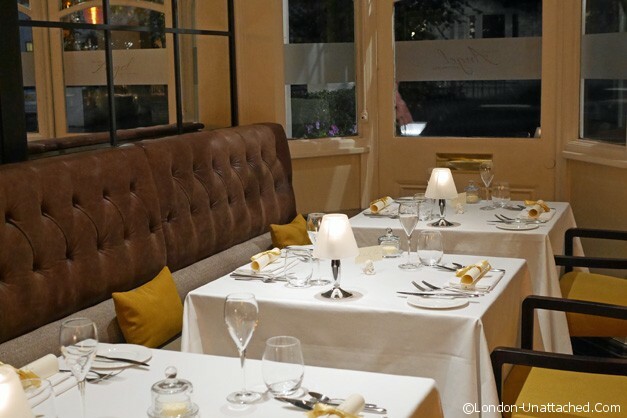 Rules are, of course, made to be broken and so I happily turned up to The New Angel, John Burton-Race’s charming restaurant in Notting Hill, for an evening of fine dining, fizz and a ‘special treat’. 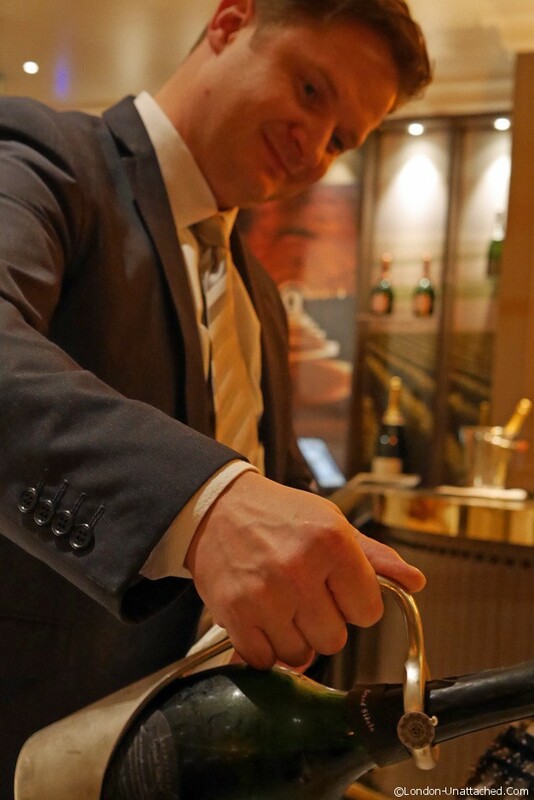 This very special dinner was designed to match a number of the Laurent-Perrier Cuvees with food, so while we started with a champagne aperitif of the house brut non-vintage, as we went through the meal, each champagne was paired with the dish being served. 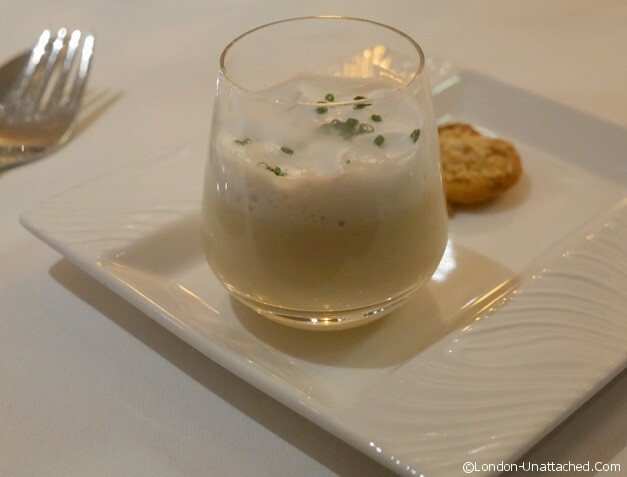 The amuse bouche of celeriac veloute with wild mushrooms was light and delicate. 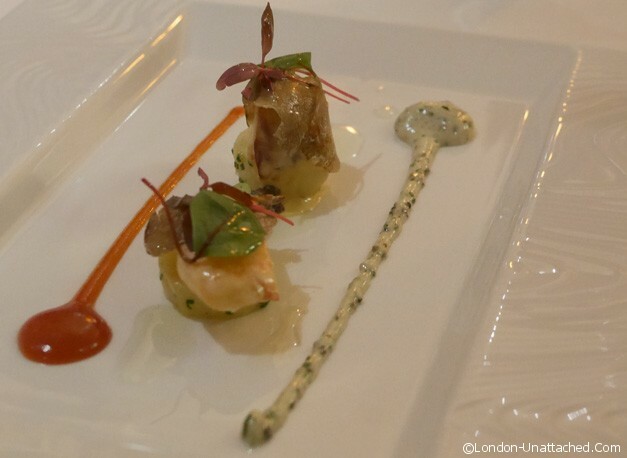 A thoughtful pairing of textures and flavours to introduce the evening. 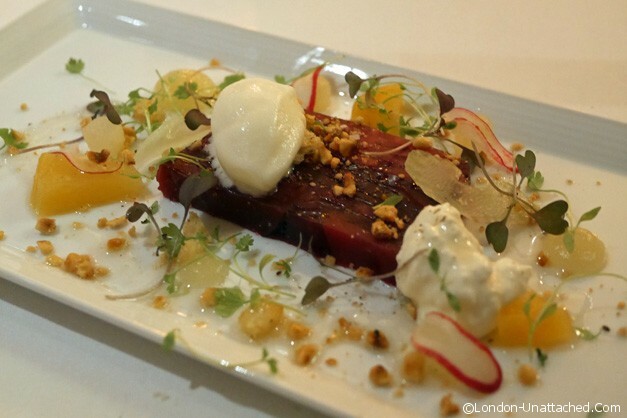 Our next course was a pressed terrine of beetroot with whipped burrata, pear, celery and mustard leaves. This was paired with the Laurent-Perrier demi-sec, a slightly sweeter champagne than I would normally pick and a combination that sounded a little unlikely on paper. It worked really well though, the earthy beetroot complemented by the lightest burrata and offset by the sweetness of the pear and of the demi-sec champagne. The chilled Cornish lobster was delicious, although I personally would have preferred the potato and Autumn truffle salad separately. 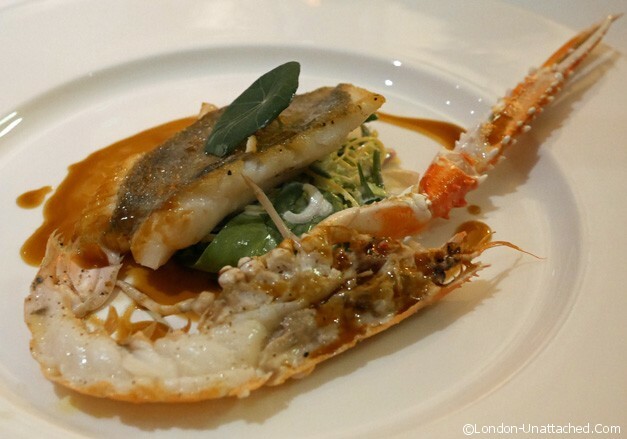 We were served Laurent-Perrier Ultra Brut with this. Known as the ‘diet champagne’ unlike most champagnes this has no added sugar and as a result is extremely dry. Actually I rather liked it and of course it had the added benefit of half the calories of a normal glass of fizz. 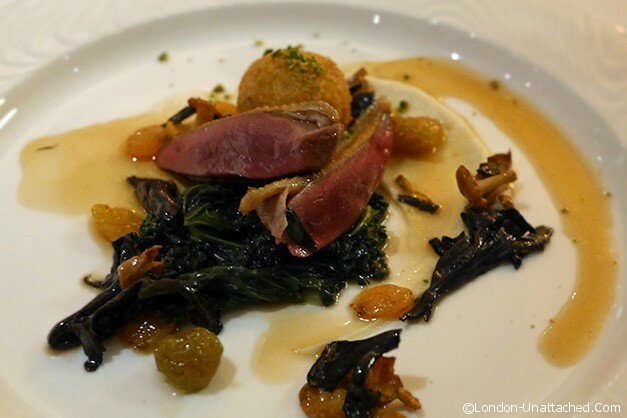 The Laurent-Perrier Grand Siecle, a vintage blend to create the ultimate champange was saved for a dish of Roast squab pigeon with foie gras, wild mushrooms, golden raisins and Madeira jus. Perfectly executed, I loved this skillful pairing of a rich champagne with game. 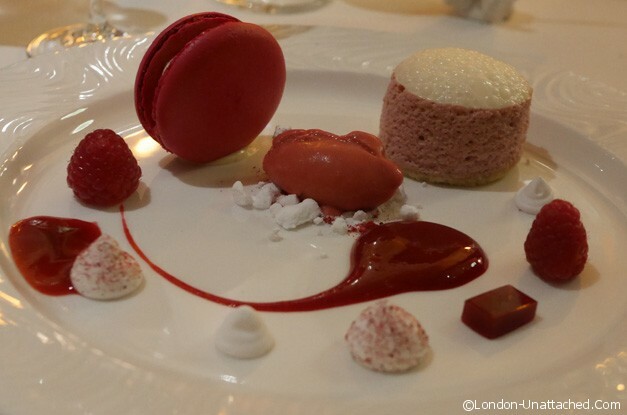 Finally and fittingly, we enjoyed a glass of Laurent-Perrier Cuvee Rose with the Raspberry macaron dessert. I very much liked The New Angel. The interior is elegant and intimate with two rooms and a stunning bar. And, the food we enjoyed was beautifully executed and very well paired. I’d be interested to try the regular menu but can recommend the special event evenings as an enjoyable and informative way to learn more about the food and drink you are enjoying. Refreshingly, the event took over the whole restaurant and rather than communal tables we were seated with our own friends. The champagne briefings and the special event (some live music) were nicely balanced and not in the least intrusive. oh wow – it all looks amazing food. You lucky duck! Now here is a meal that is appropriate for a woman of your stature…I see some of your favorites…like the champagne itself, but I so would love that beet terrine thing…I might try to knock it off with some good burrata. YUM! What a fabulous event Fiona, it would have been rude to say no! This is so beautiful> It looks so fabulous! Every course is better than the previous one! 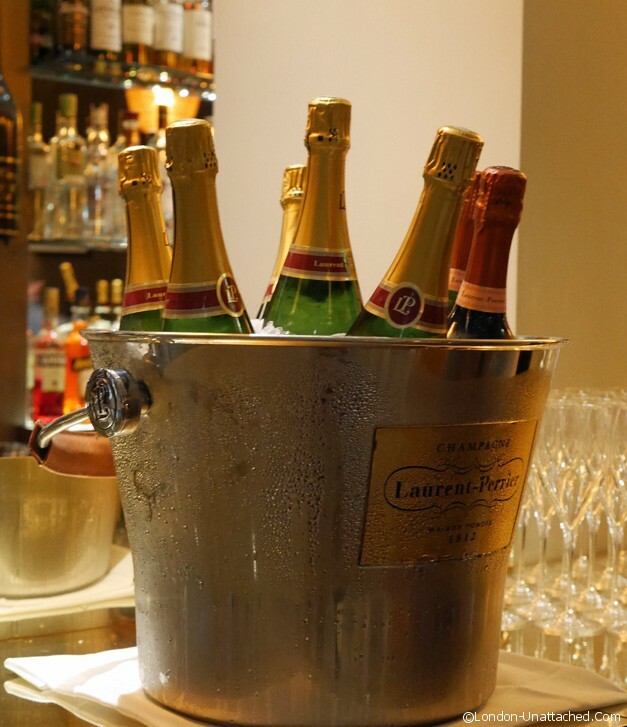 All that Laurent Perrier champagne…… so much bliss! I don’t blame you for breaking your own rules over this event! Looks wonderful and good to know about the different types of Champagne and what they pair with.